Call for pricing. Education discounts available. 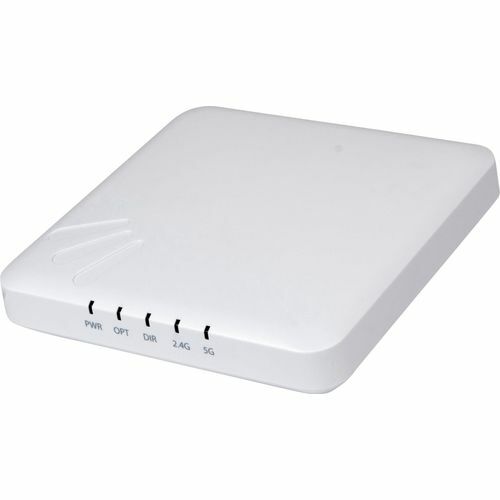 High Performance mid-range smart Wi-Fi access point with Adaptive Antenna Technology ZoneFlex R600 indoor 802.11ac access point The Ruckus ZoneFlex R600 delivers high-performance and reliable 802.11ac wireless networking at a competitive price point for medium density venues such as in K-12 or education. The ZoneFlex R600 combines patented adaptive antenna technology and automatic interference mitigation to deliver consistent, predictable performance at extended ranges with up to an additional 6dB of BeamFlex gain on top of the physical antenna gain and up to 15dB of interference mitigation. The R600 is ideal for wireless networks servicing mobile devices with dual-polarized antennas that adapt in real time to maximize performance for the mobile enterprise. A sleek and low-profile design, the ZoneFlex R600 was purposebuilt for enterprises requiring reliable high speed client connectivity. It is ideal for a variety of medium density enterprise and hotspot environments including SMBs, hotels, and schools. Full functionality under standard PoE - no need for costly switch upgrades.